IPS Packaging has specialized case erector machines that are capable of forming and sealing a large variety of styles and sizes of different trays, cases and boxes. 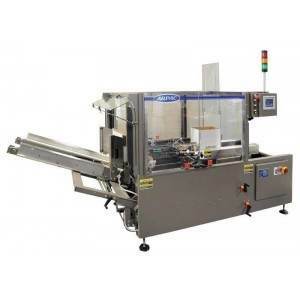 We currently have a series of case erectors that are perfect for low, medium and high-speed packaging operations. With a comprehensive line fit for your needs, and with the flexibility to provide for your specific needs, our case and box erectors are durable and fast. Whether you need boxes and cases that are erected by glue, rollover, or tuck, we have and option for you.